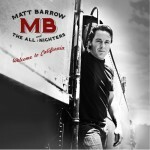 Matt Barrow And The All Nighters » Piano Bar Show!!! Home » Events » Piano Bar Show!!! Another great night of music at the best place in Hollywood!